rebuildingsociety.com is celebrating a series of contract wins as sales of its white-labelled peer-to-peer lending solution continues to grow. With orders placed from the UK, Europe, the United Arab Emirates and Canada, the software service arm of the organisation continues to grow, while the loan book on rebuildingsociety.com has recently passed £2m. 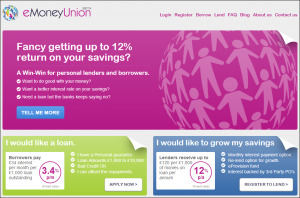 Since rebuildingsociety.com started providing customised versions of its software to clients in 2013, it has successfully launched eMoneyUnion and Be the Lender in the UK, with imminent launches for clients in global markets. Jayne Reid, Partner Director at rebuildingsociety.com commented: “Crowdfunding and peer-to-peer lending really are of our time and entrepreneurs across the world realise its potential to positively transform business and personal finance. “Our strengths are that we’ve got an operationally proven platform of our own, so we understand every facet of the process, while we’ve got the technical expertise to accommodate the variables required by our different clients. rebuildingsociety.com provides a range of post-launch services designed to meet the varying needs of its customers, from customer support, marketing, R&D and retained ICT support. Platforms in North America and the United Arab Emirates are set to launch in March and early April respectively.